Today's project is pretty fast and easy. And it turns out super cute! 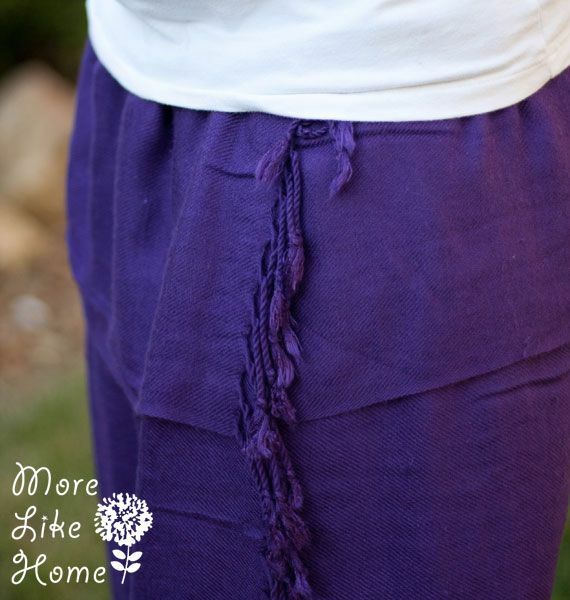 We'll be turning a cheap scarf into a fun skirt! 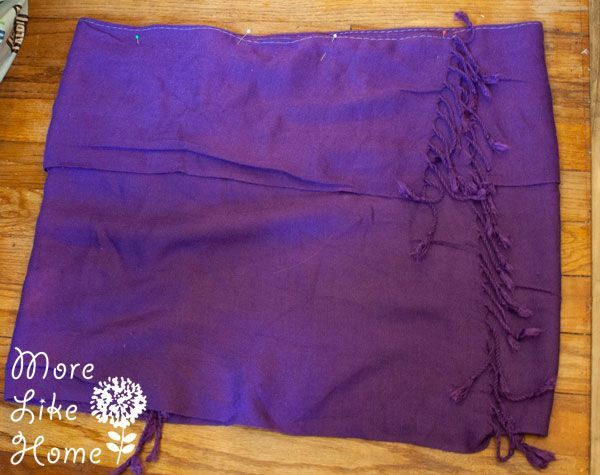 You can adjust the way the scarf is folded to make a variety of sizes and lengths. And they turn out so fun and flowy! Mine is super-soft & comfy, too. 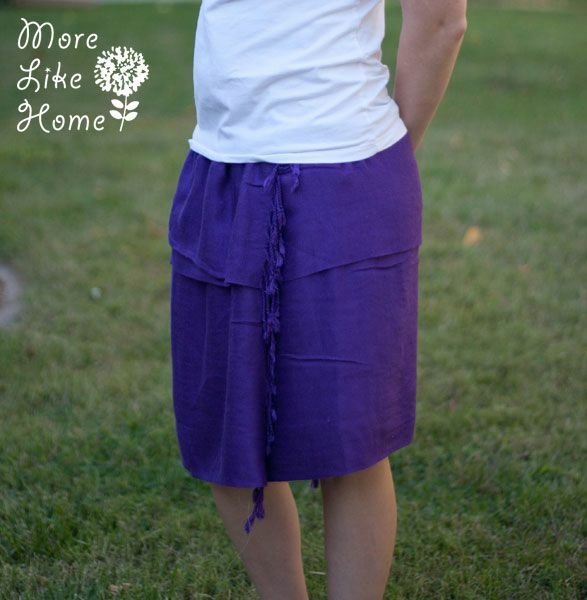 Paired with a simple tank top it would be perfect for lazy days around the house and runs to the grocery store. I think I could also dress it up for church or one of those rare date nights with the husband. 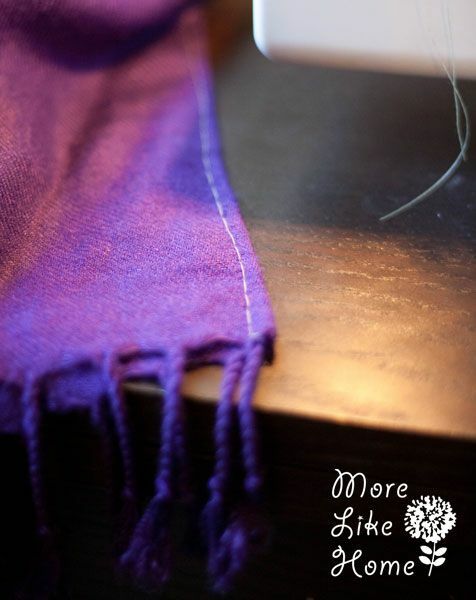 Start by pre-washing and drying your scarf. Mine said to hand-wash and line dry but... you know... ain't nobody got time for that. So I washed it on delicate and then let it air dry. That worked out fine. Just be careful and use your judgement for washing it, but keep in mind if you gift it they'll probably expect to throw it in the wash unless you tell them otherwise. Now decide on the length of your skirt. 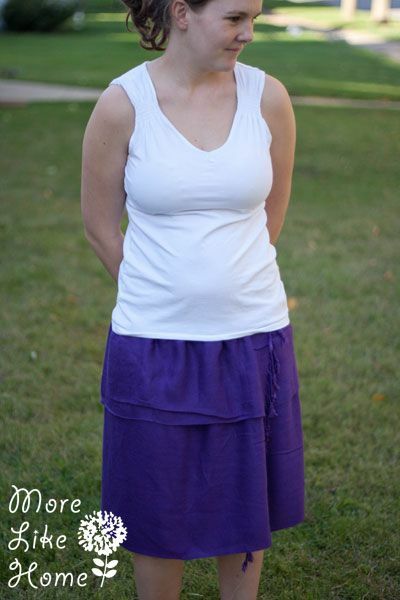 I wrapped mine around my waist to test it out and I liked it knee length, which is 18" long for me. So I started by folding down the top edge to make the overall height of the skirt 18" and pinned along the top edge. 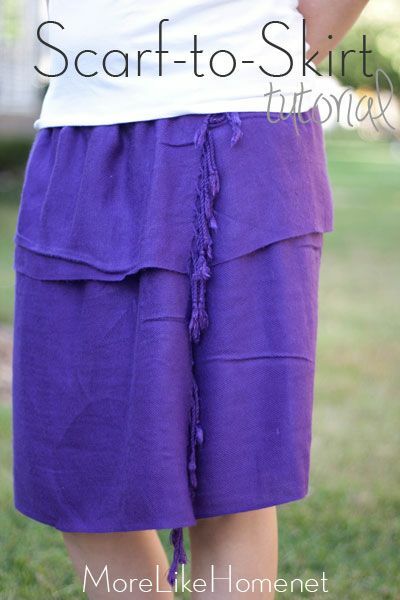 This will be the front of the skirt to give it a cute layered look. 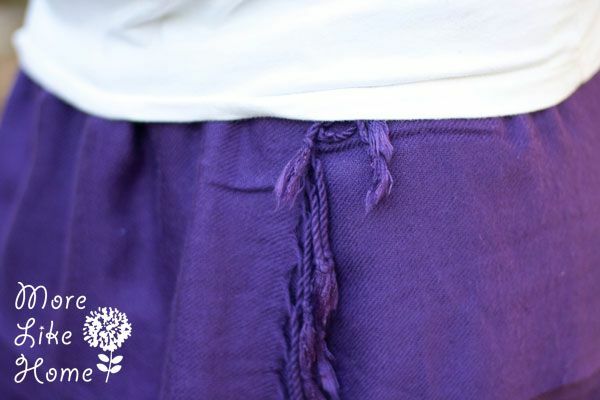 Then I used a wide basting stitch right along the top edge of the skirt to lock the layers together. Next I decided how big around my skirt needed to be. I wrapped it around my hips (you know, my widest point) and added enough extra for it to fit up and down easily. Overall it ended up being 46" around (and I'd say it's roughly a size medium, maybe a bit over, if that helps). I pinned around the waist of the skirt and then used a wide basting stitch again, this time just over where the ends overlapped. Next I got my elastic ready. I put it around my waist and then added 2" of extra for the overlap. 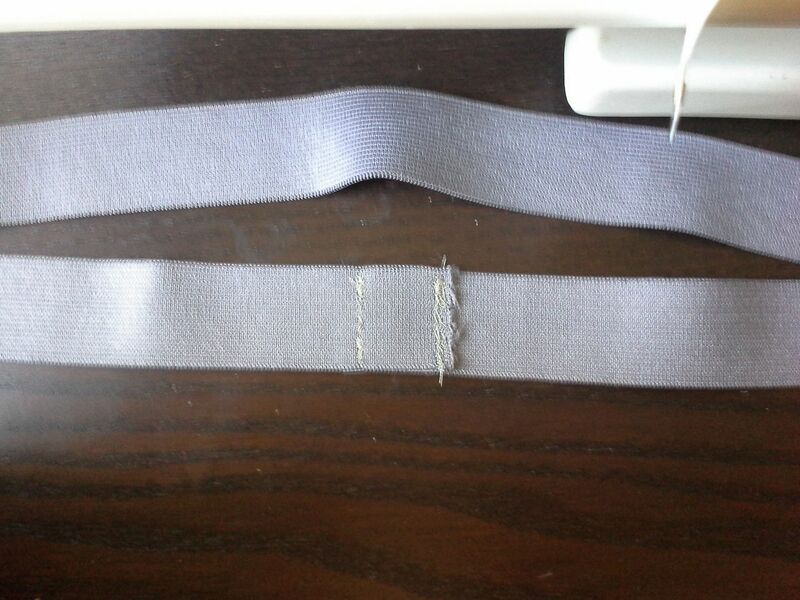 I will say, though, the elastic has more stretch than I expected and in if I do another I'll make it tighter. Maybe cut it exactly the length of my waist and not add any extra. Anyway, once you have it cut to size overlap the ends 1" (make sure it's not twisted!) and stitch along both ends of the overlap a couple times with a zig zag stitch. 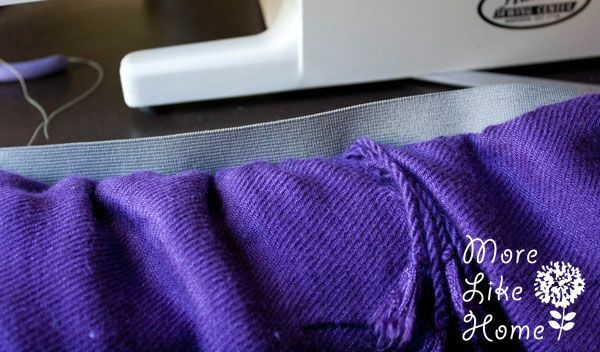 Now pin the elastic around the right side of the waist band, keeping the top of the elastic even with the top of the skirt. It will be hard to line it all up since the elastic is so much smaller than the skirt right now, so I just laid the skirt and elastic flat and lined up the mid points and pinned them. 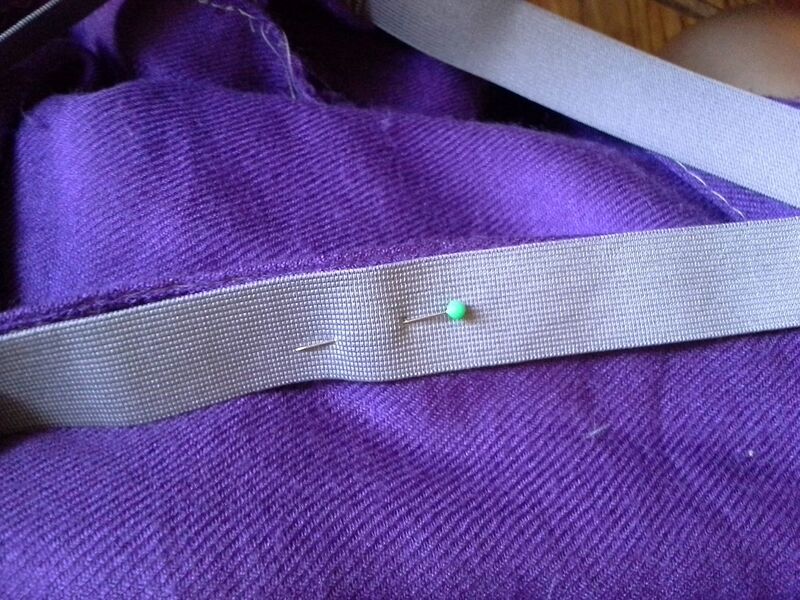 Even just a couple pins will make it easier to get your elastic stretched evenly. 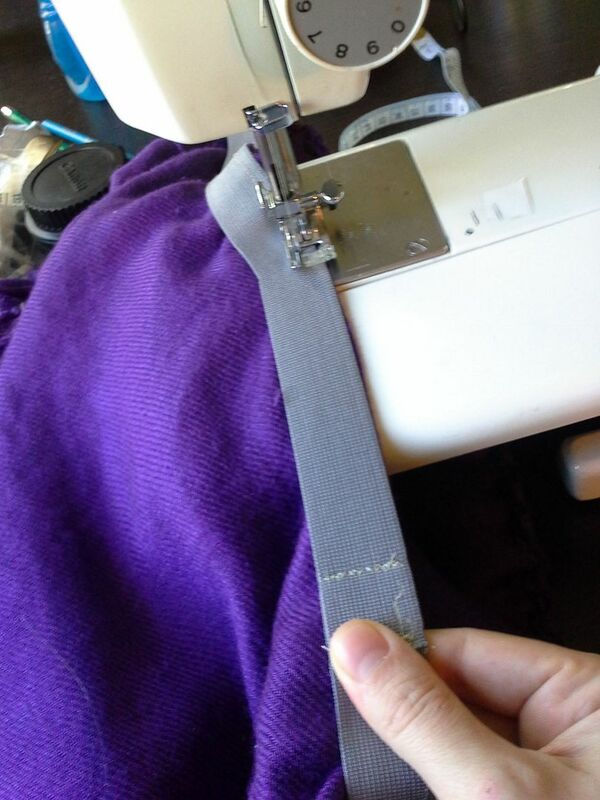 Now you can start sewing the elastic down with a 1/4" seam allowance. 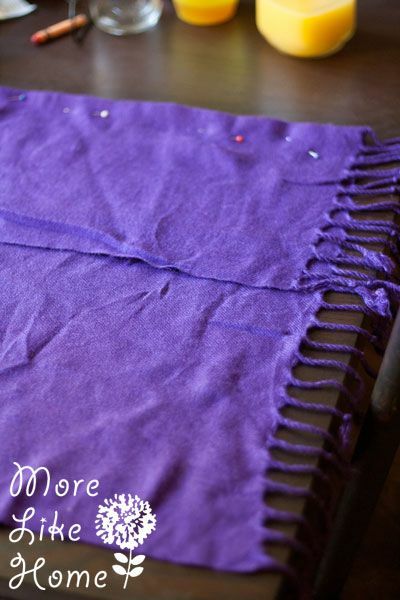 Start by back stitching, then stretch the elastic toward you while you sew along the edge. Make sure anytime you stop to adjust or change your grip that you put the needle down! That elastic is just begging to jump around and throw you off. This can be a little tricky if you haven't done it before, but basically when you get around to the other end you don't want to have any extra skirt left over. 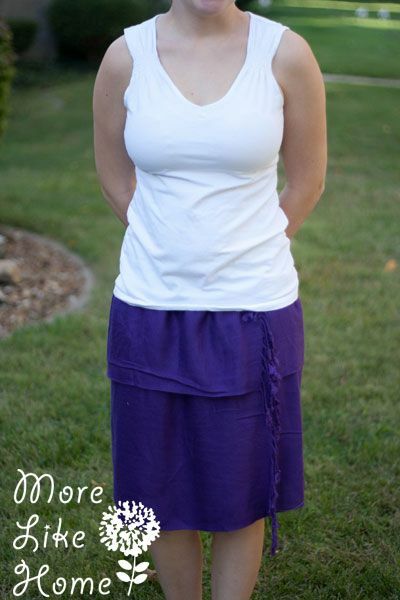 You want the elastic stretched to the same size as the waist of the skirt. Now just flip the elastic band up the right way and you're done! Pretty cute right? And our FiveBelow had about 8 different colors and prints so you have a lot of style options! This one turned out a little big for me, but it's so comfy I think I need to make another one for myself. Maybe I'll try the gray polka dot scarf this time! 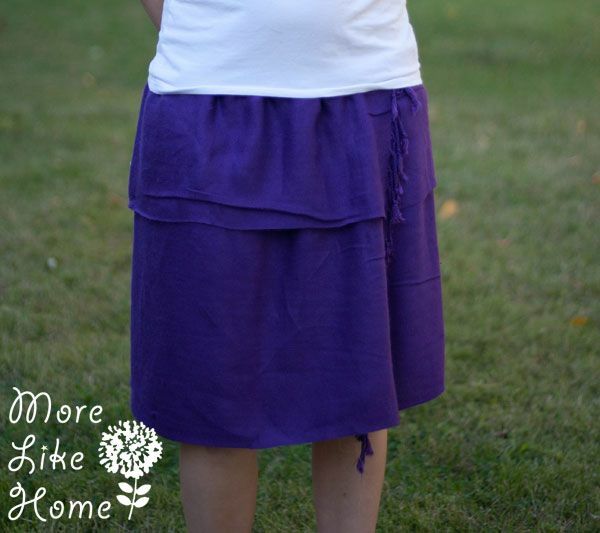 I used about a third of the elastic so I can get two more skirts out of that if buy more scarves, so it would come out under $6.00 per skirt if I made three. I don't usually make clothes but this was so easy I had no problem with it! 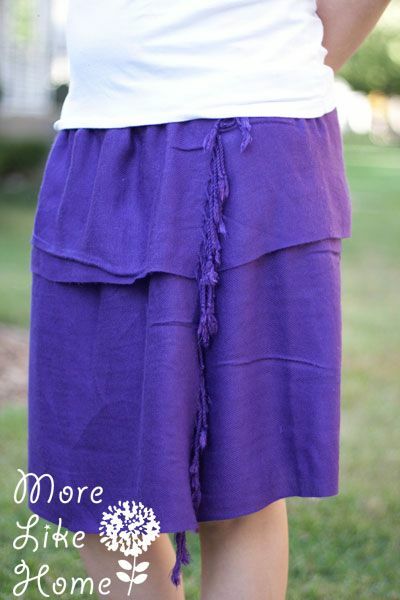 What's your favorite kind of skirt to make? Do you like giving clothes as gifts?